By Ramky Estates & Farms Ltd.
How Far is Ramky Utsav Apartments? 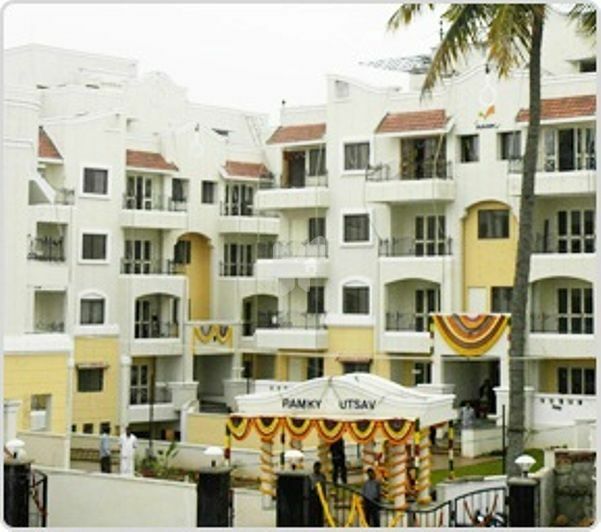 Ramky Utsav Apartments is a residential project of Ramky Estates and Farms that is located in Sanjay Nagar, Bangalore. It offers 2 BHK and 3 BHK apartments with all the necessary amenities like garden, swimming pool, play area, 24 hours backup, club house, community hall, intercom, gymnasium and security to facilitate the life of residents. About Ramky Estates & Farms Ltd. Since its inception in 1994, the Hyderabad-based Ramky Group has been developing projects that positively impact both the environment and the economy, Ramky group has emerged as a leader in infrastructure, commercial, development and environment management sectors with a well-versed excellence in engineering and management. They also have their footprints in Water & Waste Water, Transportation, Industrial Infrastructure, Commercial, Residential, Social, Institutional and Irrigation Infrastructure, Environment Management, Waste & Water Management, Energy Generation, Transmission and Distribution also. Ramky Estates and Farms limited strive to create spaces with the best design which provides comfort and luxury, they have a track record of constructing best landmarks in residential, commercial and integrated townships, till now they have covered 8 million sq. Ft of residential and commercial projects; 10 million sq. ft of residential projects are under various stages of construction and 2 million Sq ft is ready for launch and nearly 18 million Sq ft of prime space in the pipeline, an example for a residential project is Ramky Gardenia Grove Villas in Tukkuguda Hyderabad, which offers 3, 4 BHK Villas. The Group has a pan-India presence with more than 200+ project locations across 24 States & 2 Union Territories. Internationally, you can see their foot prints in Singapore, UAE, Oman, Kuwait, Saudi Arabia & West Africa. They have constructed many projects some of them are, Ramky One Marvel in Gajularamaram Hyderabad, Ramky Tranquillas in Kismatpur, Ramky One North Phase 2 in Bangalore. · Several planned, on-going & completed projects in the South India across Hyderabad, Chennai, Bangalore, Vizag & Warangal. · Poised to be the preferred choice developer for residential, commercial spaces and integrated townships. · 360-degree real estate services encompassing land identification, project conceptualization, designing, construction, marketing and property management.